My beloved ramp is back in season, ready to add its garlicky spiciness to fish, meat and vegetables, and to one of my favourites of course: fragrant ramp pesto! I’ve been looking for it impatiently over the past few weeks and when I finally spotted the first bunch at my organic supermarket I had to call my boyfriend instantly, he’s almost more obsessed with these green spring leaves than I am. We changed our dinner plans from gnocchi with blue cheese sauce to spaghetti with pesto, and that was just the beginning of our re-awakened green passion! 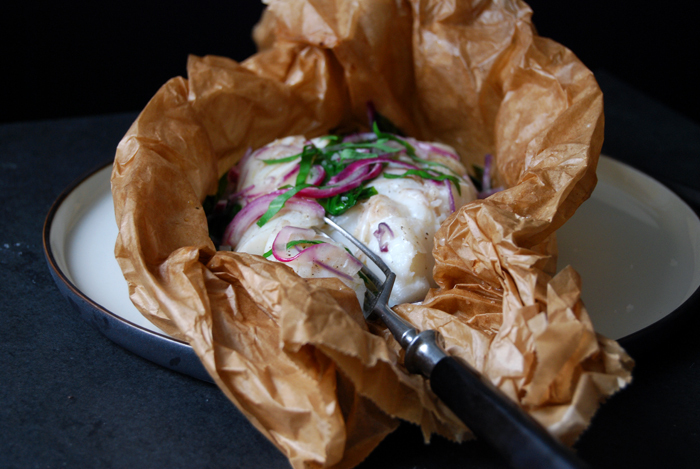 Cod al cartoccio on a bed of ramp and red onions was next on my list. It’s not only very delicious but also a very convenient match. 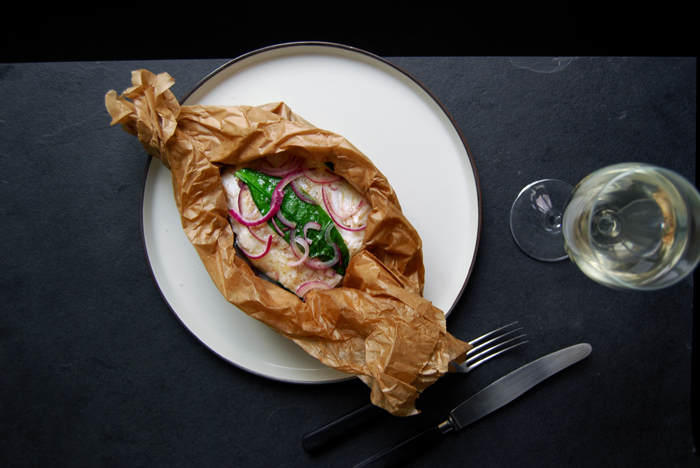 I wrapped the fish in a parchment paper package with a little white wine, olive oil and lemon juice and cooked it in the oven for 15 minutes, all in all it took less than half an hour including the preparation! 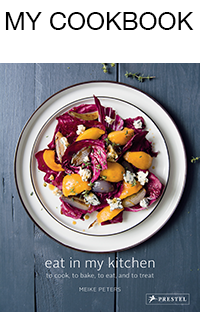 If you’re still looking for a light and easy family Easter lunch, think al cartoccio. It cooks the fish to perfection while you can create your desired aroma of herbs and vegetables, it tastes divine and looks beautiful on the table. Set the oven to 200°C / 390°F (fan-assisted oven). Cut 2 large pieces of parchment paper, big enough to wrap the fish, lay them on top of each other and brush the top layer with olive oil. 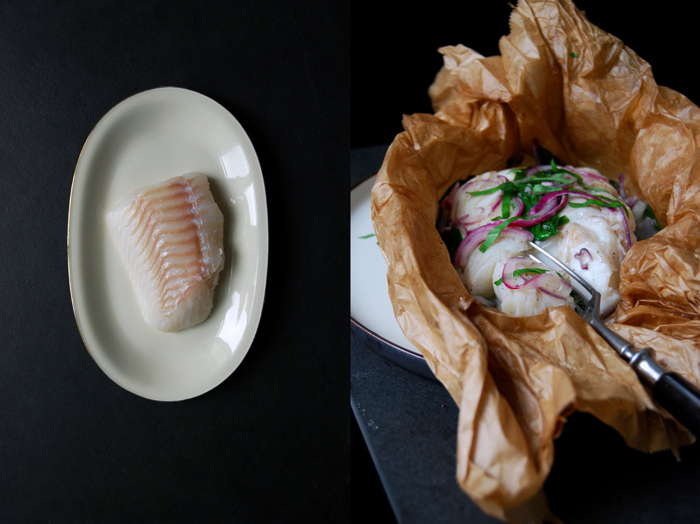 Lay the ramp leaves in the middle of the oiled parchment paper (leave 2 leaves out and put aside), place the cod on top and season with salt and pepper. 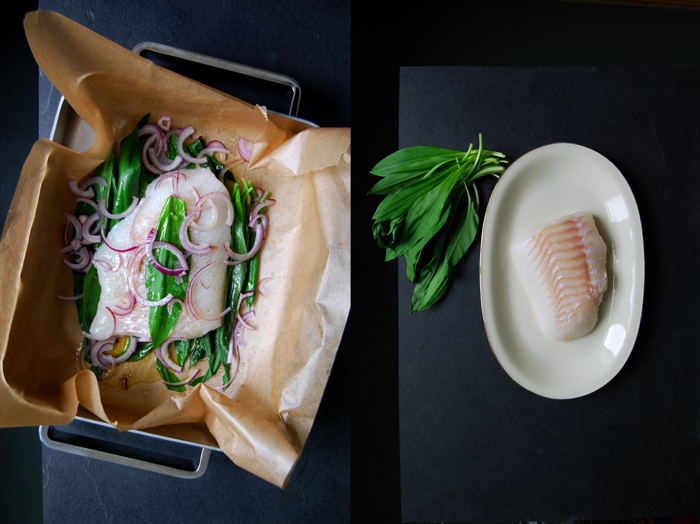 Lay 1 ramp leaf on top of the fillet and arrange the onions around the fish. Whisk the wine, olive oil and lemon juice and pour over the fish. Close the parchment paper like a bonbon and fold the top twice. Place in a baking dish and cook in the oven for 10-15 minutes. Check after 10 minutes, if you can separate the fish (gently) with a fork it’s done, if it needs a little longer close the parchment paper and put back into the oven (mind not to overcook it!). 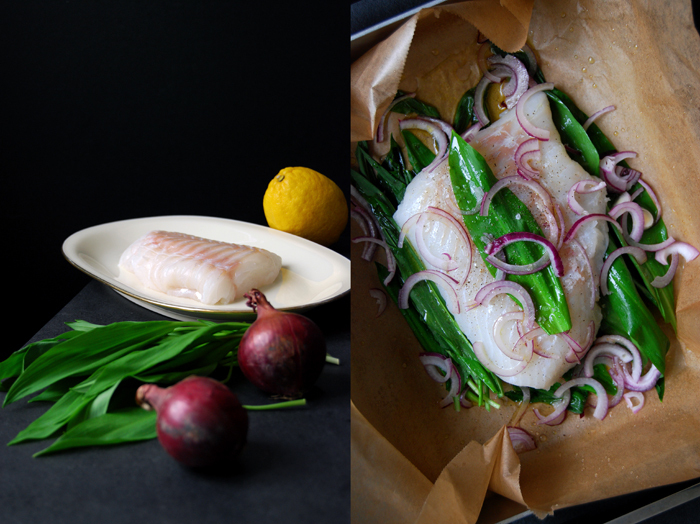 Chop the raw ramp leaf and sprinkle over the cooked fish, serve with fresh baguette and a glass of chilled white wine! No i never make a pesto with Bärlauch ah oh sorry i mean ramp 🙂 but this spring i have to do it, because i really want to try it with spagetti like you. It is like a must have in spring i think. All the last years i didn’t dare. My fillet is quite thick too, i will be careful. And now i really have to start, because i cook not at home, i cook at my mothers kitchen and for her of course. For you a very nice easter weekend too!! When i saw the titel i didn’t know what ramp is, but than i saw the pictures and my confusionen was away. 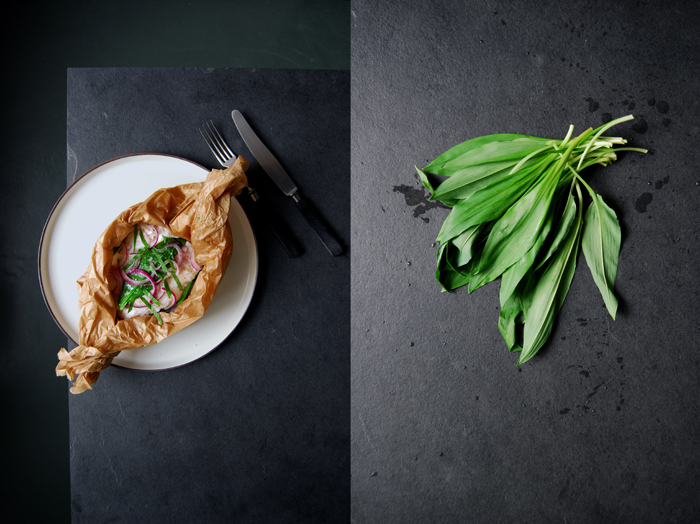 We just say “Bärlauch” and it taste so good with its fine garlic flavour. When i look into my garden i can see alot of it, my daughter eats it very pur when the first leaves come up.